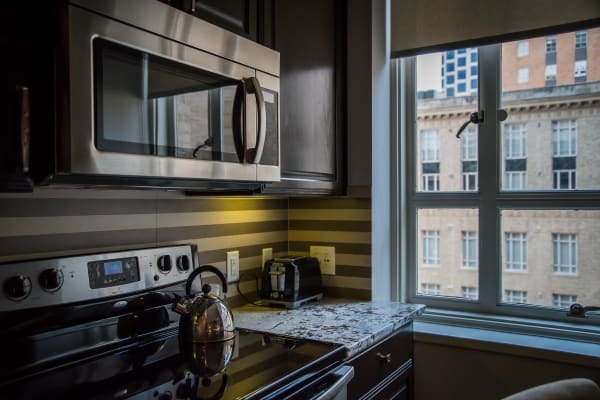 Beautiful craftsmanship abounds in 400 North Ervay’s studio, one, and two bedroom apartments for rent in Dallas, TX, near Dallas Zoo. With twenty-two unique floor plans to choose from, it’s easy to find your perfect place. 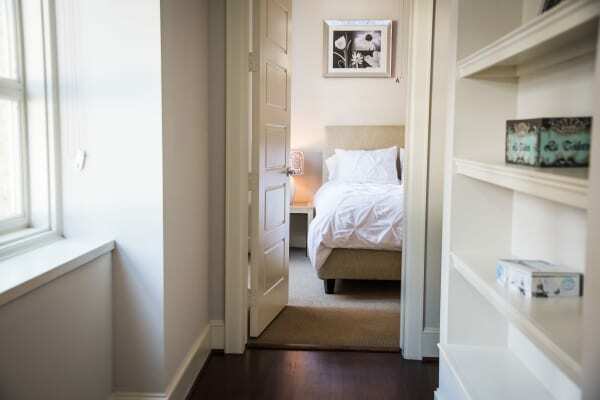 Our one bedroom options range from 675 to 1,268 square feet, and our two bedroom floor plans go up to 2,200 square feet. And, after a day out on the town, you won’t have to waste time looking for a place to park thanks to the convenient parking garage. Sophistication and character come standard in all of our homes at 400 North Ervay. Get the smart features and conscientious extras you want without sacrificing style and luxury. Contact 400 North Ervay today for an in-person look at your favorite floor plans. Our building sets the bar high with refined details and elegant finishes. Beautiful hardwood flooring, Brazilian acacia brown granite countertops, and rich dark-wood custom cabinetry give your home a luxury look with a nostalgic feel. Soaring ceilings and steel-case windows with brass hardware and solar shades are an elegant touch in each apartment. Everyday luxury comes in the shape of convenient features such as stainless-steel appliances and a sound system in your living room. Be part of Dallas history when you make 400 North Ervay your home. Let us show you what it’s like at 400 North Ervay. Give us a call and schedule an in-person tour today. You’ll love it here.